Home › Promotions › Rumble Beats Roses Sales Event! 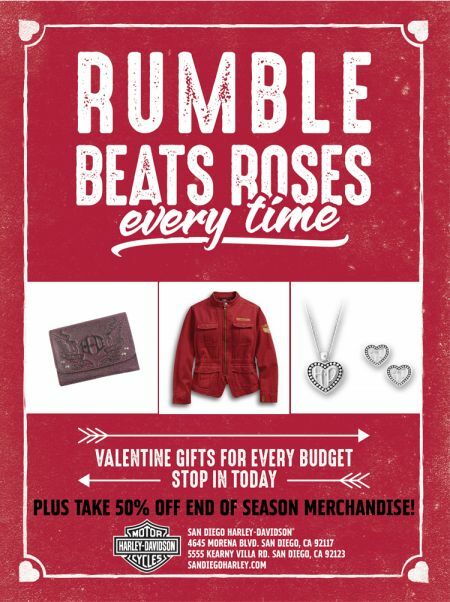 Rumble Beats Roses Sales Event! Don't forget to get your Valentine what she really wants this year...anything and everything Harley-Davidson. We have everything from jewelry & clothing to parts and accessories. Come down today and take advantage of the end of season merchandise specials!